Google's latest algorithm changes are causing a bit of a stir. Here's an article from CNN's tech online. NEW YORK (CNNMoney) -- Google made one of the biggest changes ever to its search results this week, which immediately had a noticeable effect on many Web properties that rely on the world's biggest search engine to drive traffic to their sites. The major tweak aims to move better quality content to the top of Google's search rankings. The changes will affect 12% Google's results, the company said in a blog post late Thursday. "Our goal is simple: to give users the most relevant answers to their queries as quickly as possible," said Gabriel Stricker, Google spokesman. "This requires constant tuning of our algorithms, as new content -- both good and bad -- comes online all the time. Recently we've heard from our users that they want to see fewer low quality sites in our results." Typically, Google's algorithm changes are so subtle that few people notice them. But these most recent changes could be seen immediately. How to test the change: The IP address 64.233.179.104 displays Google search results as they would have appeared before the recent algorithm change, according to several webmasters posting to the WebmasterWorld.com forum. Google would not confirm that IP address uses the older algorithm, but comparing searches of trending topics on google.com with searches using the special Google IP address reveals how the search engine now seems to be favoring certain content. The changes appear to be affecting so-called "content farms" the most, which are websites that amass content based on the most-searched terms of the day. Demand Media, AOL, Mahalo and the Huffington Post have all been accused of such tactics, including a notable "story" from HuffPo about the Super Bowl that Slate.com media critic Jack Shafer called "the greatest example of SEO whoring of all time." Tests using trending topics show Google's tweaks in action. The current top Google result for a search of Charlie Sheen rant target "Haim Levine" is a New York Daily News page, followed by a story from gossipcop.com. The old algorithm would have featured two Huffington Post stories at the top, with the New York Daily News story not appearing appear until the second results page. A controversial decision: Any change to Google's algorithm is a zero-sum game. Some websites win, some lose. Comments from site operators lit up on the WebmasterWorld.com forum starting on Wednesday. Many webmasters complained that traffic to their sites dropped dramatically overnight, and others expressed concern that they can't adapt quickly enough to Google's changes to its algorithm. "Why is it that every single time the search engine result page starts to stabilize and sales return, Google has to throw a monkey wrench in the system again?" asked commenter backdraft7. "Hey Google, this is not fun anymore - YOU'RE KILLING OUR BUSINESSES!" There are many legitimate ways content creators optimize their sites to rise to the top of Google's results. But Google has been cracking down on what it regards as inappropriate attempts to do so: The company recently penalized Overstock.com and JC Penney in its search results after the companies were found to have set up fake websites that linked to their own, causing Google's algorithm to rank them higher. When it comes to site content, the lines get very fuzzy. Operators like Demand Media (DMD) -- which now has a market valuation of $1.9 billion, more than the New York Times Co. is worth -- sit right on the ever-shifting boundaries. "Sites of this type have always been controversial," said Daniel Ruby, research director at Chitika, Inc. a search advertising analytics company. "On one hand, they often do produce extremely informative, well-written articles. On the other hand, they put out countless articles on a daily basis, and some claim they exist only to generate the top result on as many keywords as possible." Demand put out a very carefully worded response to Google's changes. "As might be expected, a content library as diverse as ours saw some content go up and some go down in Google search results," Larry Fitzgibbon, the company's executive vice president of media and operations, wrote in a blog post. "It's impossible to speculate how these or any changes made by Google impact any online business in the long term -- but at this point in time, we haven't seen a material net impact." 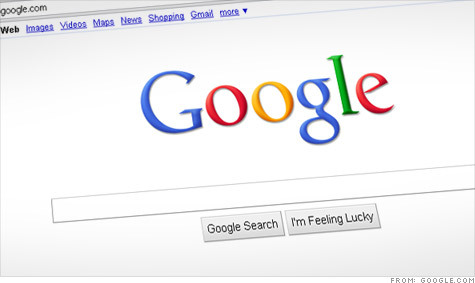 So will Google's changes have a lasting effect on search quality? Perhaps. But it's an arms race: Any time the company adjusts its algorithms, those determined to beat them immediately adjust. "Content originators make money, and Google makes money," said Whit Andrews, analyst for Gartner. "Their interests will always be in conflict, and as long as there is greed, people will try to game system."